Far from being defenceless when faced with inextricable problems such as inequality, unemployment, poverty, precarious situations or global warming, governments continuously increase the policy proposals for new action, reforms or transformation. Nevertheless, their inability to solve problems, which is occasionally penalised by democratic voting or by changeovers, never challenges the political system itself. 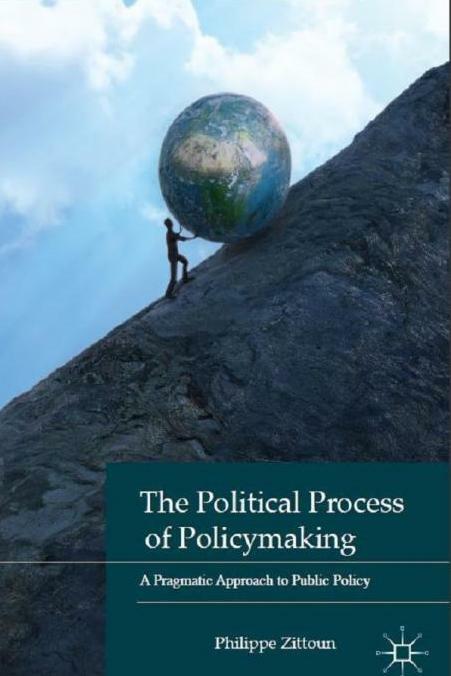 To understand this astonishing political stability within a disordered world, Philippe Zittoun looks at the 'policymaking process' as a political activity which defines, propagates and imposes public policy proposals as a means to 'restore order' within society. Based on a significant study as well as on surveys carried out at the heart of the policymaking process, this innovative approach to public policy leads us to identify policymakers as true modern Sisyphuses. Philippe Zittoun is Research Professor of Political Science at LAET-ENTPE, University of Lyon, France. He is General Secretary of IPPA and Chair of the IPSA 'Public Policy' Research Committee. He is also a member of the editorial board of several international journals such as Critical Policy Studies, Journal of Comparative Policy Analysis, Plicy Studies Journal, Policy and Society. His research focuses on understanding the policymaking process and, in particular, on the importance of discursive struggles, argumentative strategies, political aspects and the role of actors. them. This is essential reading for all students of policy-making." "All too often politics is underplayed in the analysis of the policy process. In The Political Process of Policymaking Professor Zittoun offers a refreshing corrective to this neglect. He is also to be commended for his attention of the role the political construction of policy objects and events, as well as his examination of the role of communication and argumentation as they play out across the policy process as a whole, from agenda-setting to evaluation. Not least important is the fact that the book opens the way to a much needed and long overdue exchange between policy scholars in the English and French speaking worlds. This is by all accounts a seminar service to the field." "Philippe Zittoun's book provides an excellent discussion of policymaking in France, and the interactions among levels of government within that political system. This is not, however, just a book on France but provides insights into more general theoretical and analytic questions about public policy."